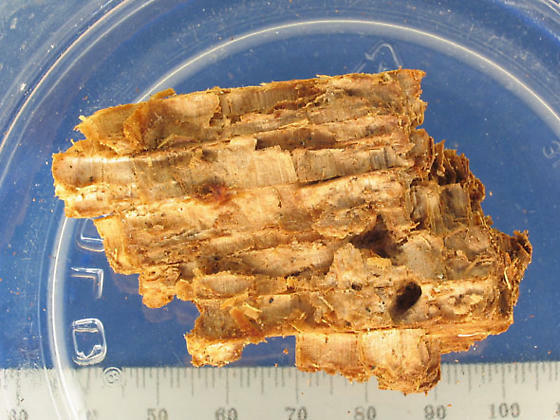 The rotten core of this maple was composed of thin, papery layers that easily crumbled apart. I saved more than enough to fill a pint-size leftover container, which I sealed up with the larvae inside once I finished the photo shoot. I'll check on them every so often, hoping to catch the pupal stage before I get imagos (adults).